Professionals invest substantially in their websites, logos, marketing, branding etc. but unless they possess excellent sales skills, their ability to convert prospective interest into clients is extremely limited. The goal of this webinar is to bust some myths about the sales process, help trainers to channel sales-related anxiety, and to develop a sales script which will assist them in gaining more clients. Remove barriers that lead to sales avoidance behavior. Define the importance of sales even in this age of websites and social media. Identify ways to channel sales-related anxiety. Build sales through differentiation, emotional connection and value added benefits. 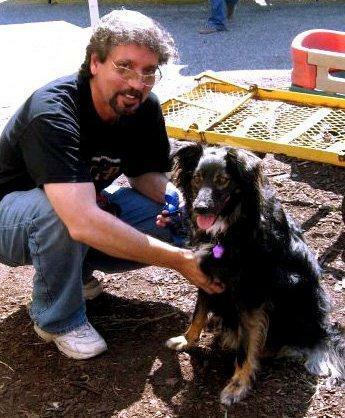 John D. Visconti, CPDT-KA is an award winning author and owner of Rising Star Dog Training Services, LLC; Rising Star Dog Training, LLC; Dog Trainer ConneXion business management software; and Fetch More Dollars sales consulting. He has written several columns for BARKS from the Guild and the Chronicle of the Dog. He has also served as a chair for the APDT business sub-committee and presented several sales coaching lectures and webinars to dog training schools and force-free organizations. Additionally, during 23 years in corporate life, Visconti has been a sales consultant, and vice president of sales and customer relations. His book, Fetch More Dollars for Your Dog Training Business is the 2015 winner of the Dog Writers Association of America Maxwell Award reference book of the year. Visconti is also an award winning, published songwriter and performer.